THE JURASSIC WORLD. From around 230 million years ago, and for the next 135 million years, dinosaurs were the dominant land vertebrates. William Buckland first described their fossils in the scientific literature in 1824, followed by Richard Owen who, in 1842, coined the name dinosaur (“terrible lizard”). They were not lizards. Dinosaurs, classified as reptiles, were an extremely varied group, with over 1,000 species, making it impractical to list meaningful all-encompassing distinguishing characteristics apart from laying eggs and exhibiting nesting behavior. Some were herbivores, others carnivores; some stood erect and were bipedal, while others, quadrupedal. It was long believed that dinosaurs were lumbering creatures but, in recent decades, evidence suggests that some (e.g., the velociraptor) were agile and fast moving, as well as highly sociable, congregating in flocks. Dinosaurs varied in size from that of a pigeon to the largest land animals ever known. The herbivorous Apatosaurus (Brontosaurus) had a very long neck and a relatively small head and measured some 75 feet (23 meters) in length. The most familiar dinosaur was Tyrannosaurus rex, a bipedal carnivore 40 feet (12 meters) in length that shared a common ancestor with birds. There is general agreement that birds descended from dinosaurs, and that Archaeopteryx, which lived some 150 million years ago and was first found in Bavaria in 1861, may be the missing link. Although its fossil remains failed to disclose feathers, other feathered dinosaurs have been uncovered since the 1990s, further supporting their relationship to birds. Some 66 million years ago, all non-avian dinosaurs became extinct, as did 95 percent of all life on earth. The event causing this mass extinction has been the subject of considerable speculation and theorizing. The prevailing theory favors an impact event producing a toxic atmosphere and blocking out sunlight for an extended time period, extinguishing plant and animal life. Although dinosaurs are gone, they have not been forgotten. They have remained a popular culture staple in children’s stuffed toys and books, and movies including A. Conan Doyle’s The Lost World(1925), King Kong (1933), and Jurassic Park (1990s–2000s). SEE ALSO: Reptiles (c. 320 Million BCE), Birds (c. 150 Million BCE), Paleontology (1796). 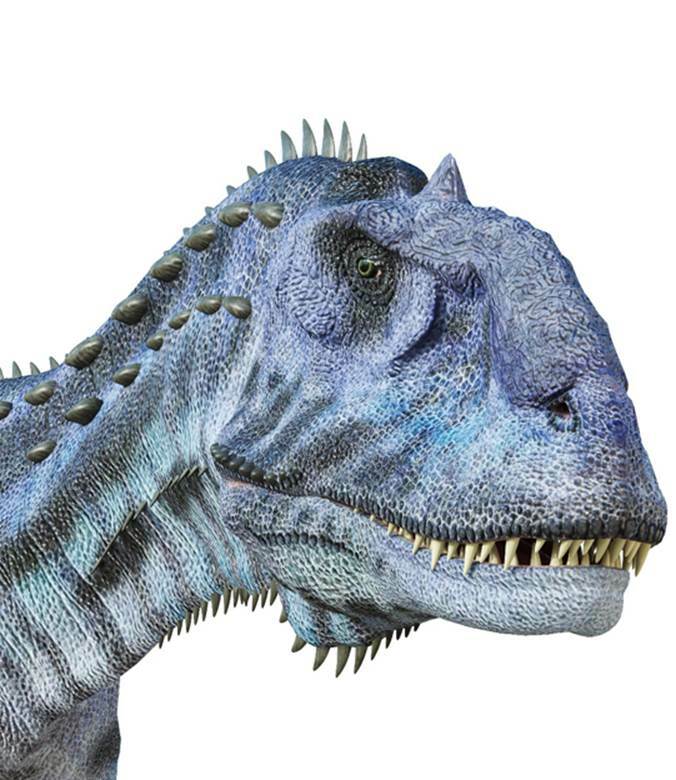 The Majungasaurus was a bipedal dinosaur that lived in Madagascar some 66–70 million years ago. Typically measuring 20–23 feet (6–7 meters) in length and weighing 2,400 lbs (1,130 kg), these carnivores were the alpha-predators in their environment.